In the early 2013, through competitive circumstances, a TVL.ro team had the opportunity to oberve a little bit closer Denmark. I’ve been here more than three months and here we are now right in the exact moment of writing this article, which makes us believe that we managed to build a pretty accurate idea about Denmark and everything that we find interesting in the land of Hamlet. 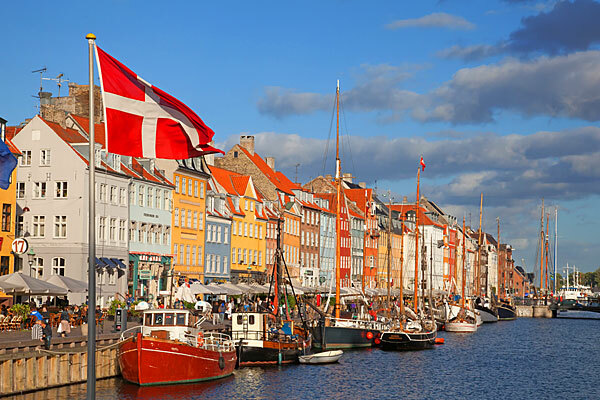 We have tried long to find a concise formulation encompassing as many of the reasons for which Denmark is a TVL. guaranteed destination. Hoping that what we searched for was found eventually,we woul like to share them in the rows below. Running water is good regarding quality, which is why there are not too many types of bottled water in shops and restaurants and a carafe of running water is about the same price as bottled water. This may seem like a childish reason to say that we like Denmark, but the quality of the running water from the tap is a testament to the quality of public services in this country. The Danes can not afford to poison their own citizens with water of questionable quality even if it is meant for some animals endowed with an enviable immune system. Water is representative for other services such as the health system or public sanitation and cleanliness.All together provide a quality of life that is very easy to notice in the serenity of the faces of the people on the street or in parks and plazas. The second reason may seem at first sight even more stupid than the first. How this can be “good” for car taxes to reach 180% of the value of the car? That is a $ 10,000 costs actually 28,000 euros. Sounds like a nightmare, but it says a lot about the direction in which Denmark is heading to and all the Nordic countries in general. There is a clean, unpolluted enviroment, exist green alternatives for all pollutants implied by the needs of the modern man. In Denmark there are wind mills, photovoltaics panels, electric vehicles, innovative waste recycling systems and many other such things but more than that already exists in the culture and soul of people the respect for the environment. The Danes desire to live in harmony with nature, in a modern and contunuously evolving world makes this tax to have sense – especially given that the money collected for it is going in the right direction – and this makes us say it is the second reason for which Denmark is a TVL guaranteed destination. After we found out about the high taxes on cars, I kind of rushed into things, thinking I have found the explanation for which there are so many people who cycle. But it is not true. Almost every Dane who passed the age of 18 can afford to purchase a car and he/she does. I found out that this seemingly prohibitive tax did not prevent growth in car sales. The reason why Danes ride a bicycles is simple: they love sports in general and cycling in particular, and they ride bicycles from very young age. In every town or village,on every street you can see bicycles everywhere and people who run. Copenhagen, for example is in the top of European cities for cycling (competing with Amsterdam) and the whole Denmark has thousands of kilometers of bicycle lanes. The fact that Danes love sports in such a great extent make us say that they do have a healthy mind in a healthy body and allows this to be the third reason why Denmark is a TVL. guaranteed destination. Besides these reasons and others we can mention others which are not less relevant such as Carlsberg, Lego, Danish pastry, Vikings, Hamlet or Hans Christian Andersen but also hundreds of sites and attractions that can delight any tourist. Below we will try to present in detail some of the most interesting sights in Denmark. ← Se pot castiga bani pe net ?